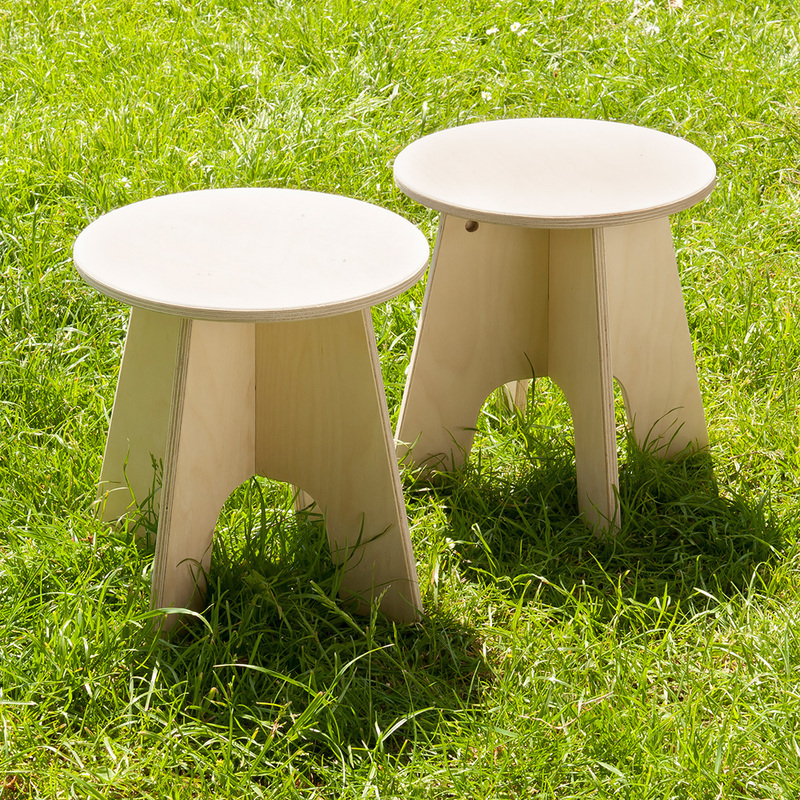 The outdoor stool pack includes two stools with a fun, practical design for use in schools, pre-schools and nurseries. Manufactured sustainably in the UK using advanced exterior grade plywood with a translucent finish. Edges are sealed with a tough exterior lacquer. The crossover leg design is strong and sturdy. The stools are delivered flat packed for minimal customer assembly and include a 5 year guarantee against structural failure caused by rot or insect attack. Please note: Any toys or play equipment featured in the product images are not included with the outdoor stool pack of two. Please Contact Us or alternatively call for more details on 01733 511121.